We here at Engravably Yours understand just how near and dear your Montblanc pens are to your daily routine. That is why we have Montblanc pen refills! It is inevitable that the ink in your one of a kind Montblanc pen will eventually fade away. 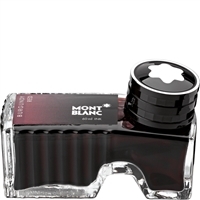 No need to fear though – you can purchase refills for all of your Montblanc products! 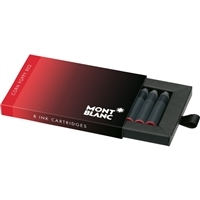 Whether it is ballpoint pen refills, marker refills, fineliner refills or rollerball refills, we have everything and more that you could need for your Montblanc merchandise. Aside from these convienent refills, we also have Montblanc erasers and Montblanc mechanical pencil refills! All of these items are priced reasonably and are, without a doubt, some of the best writing utensil products around. If you are looking for a top of the line writing instrument, Montblanc pens is the way to go. Get everything you need here and be on your way to dotting your I’s and crossing your T’s with the best of them!